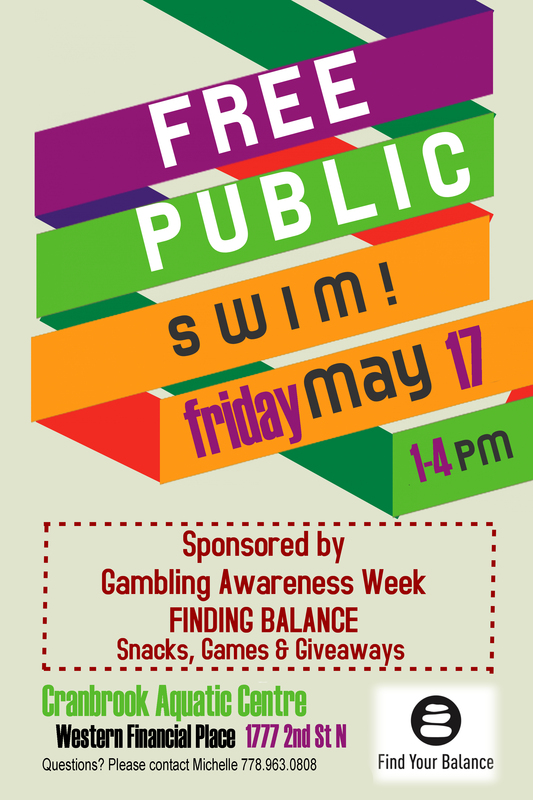 Free Public Swim "Finding Balance" sponsored by Gambling Awareness Week. Friday, May 17 from 1-4 pm. Everyone welcome.